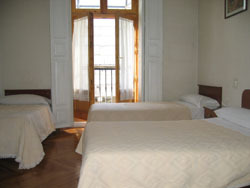 Hostal Tudescos - cheap guesthouse in central in Madrid, Spain. 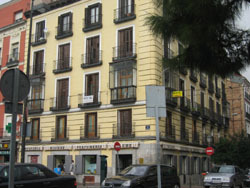 The Hostal Tudescos is located in the heart of Madrid, near Gran Vía street and close to the most known and touristic places like Plaza Mayor, Palacio Real, Catedral de la Almudena..., the museums (El Prado, Reina Sofía, Thyssen...), cinemas, theatres, pubs, shopping centres. 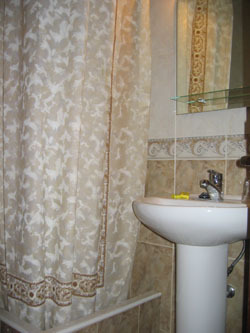 The hostel has single, double and triple rooms, most with ensuite bathroom and TV. All the rooms are outward-facing and very light, with balcony. The hostal has a friendly environment. 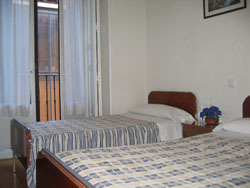 Location: The Hostal Tudescos is located in the heart of Madrid, with a wide range of means of transport. The nearest metro station is Callao (lines 3 and 5). There are many buses stop for the local buses, and there are also stops for the sight-seeing bus tour companies. There is a parking in front of the hostel.